From small commercial air handling plant to major international coal or gas fired power plants, we have considerable in-house expertise and experience in the UK and overseas on the calculation, assessment and management of noise and vibration for the industrial, commercial and utilities sectors. 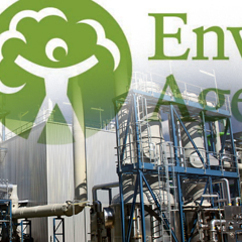 In the UK major industrial plant is regulated by the Environment Agency which is also responsible for environmental permitting. Large schemes also require ongoing audits and routine monitoring to demonstrate compliance with permit and/or planning conditions. Southdowns has a successful track record of obtaining permits on a wide range of power generation projects, including local Combined Heat and Power Plant, larger biomass plants, other renewable projects and major coal and gas fired power stations with the preparation of comprehensive and specialist technical studies and input to Environmental Statements and Impact Assessments. Its staff have also considerable experience in the application of British Standard BS 4142 and the calculation of detailed corrections for acoustic features such as tonality and impulsivity. We have a large portfolio of national and international power projects including: Khartoum North Power Station (Sudan), Haripur Power Station (Bangladesh), St Louis Power Station (Mauritius), Marchwood Power Station (UK), Peterhead Power Station (UK), Rugeley Drakelow Power Station (UK), Avonmouth Power Station (UK), Slatina Power Station (Romania), Iskenderum Power Station (Turkey), Chorzow Power Station (Poland), Maritza Power Station (Bulgaria), Glanford Power Station (UK), Fiddlers Ferry Power Station (UK), Pulrose Power Station (UK), Severnside Power Station (UK), Bilbao CCGT (Spain).